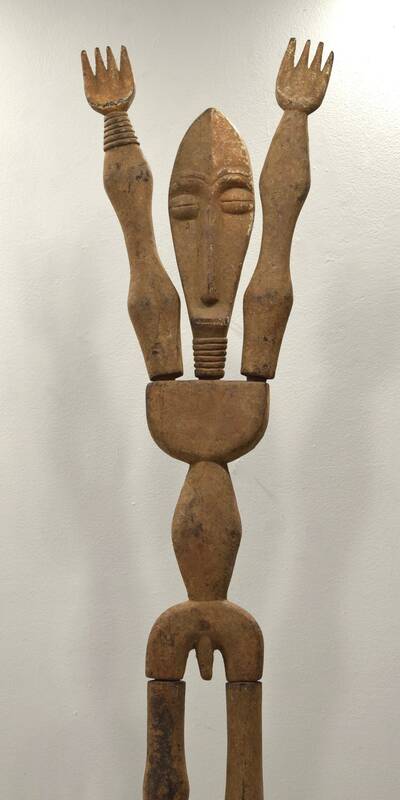 This is a magnificent Male Carved Wood Lega Pull Apart Statue from the Democratic Republic of the Congo. The Lega people are among Africa’s best known carvers and artists.The Lega they believe themselves to be descended from an eponymous ancestor who migrated into the area from what is now Uganda. Lega sculptures are usually carved in a highly distinctive style, with a heart-shaped concave face with a slightly bulging forehead, slit nose with a beak-like base. Figures may be covered completely in white clay or simply as on this face as on this figure. The highest ranking members of the bwami association commission, own, use and interpret all Lega sculpture. The genius of the Lega artist lies in his ability to produce a work that fulfills the requirements of the bwami patron, fits perfectly within the ideal, and yet is artistically unique. 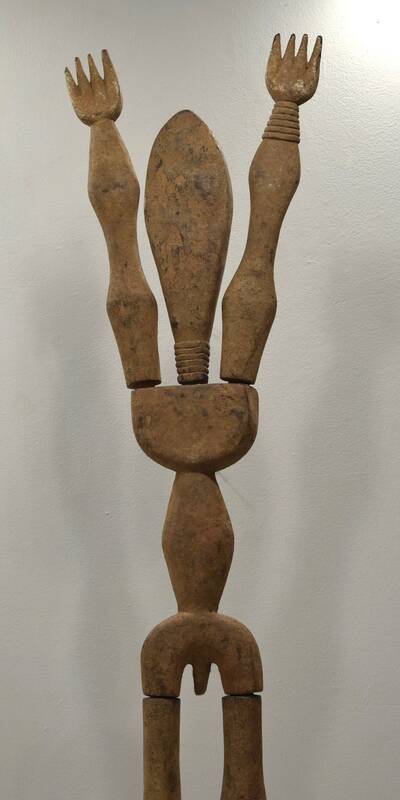 This Lega sculpture would be a wonderful addition to your collection or home.